The breathtaking cynicism of contemporary Australian politics has surely reached its apogee with the announcement that recently retired ALP national secretary Karl Bitar is to join the Packer gambling empire. With the stroke of a Meisterstuck pen on an equally fat contract, the celebrated spinmeister’s alloted task is no longer to keep a benevolent eye on Labor’s fortunes as some kind of “been there, done that” elder statesman. On the contrary. It’s to do the bidding of the prince of darkness of Australian gaming, James Packer, in his battle to derail the Gillard Government’s plan to tackle the national curse of problem gambling. Bitar is set to use every trick in his tawdry repertoire as Labor’s former political strategist and spin merchant to try to thwart Julia Gillard and the man forcing her into action on poker machines – Andrew Wilkie, the lugubrious Tasmanian independent on whom Gillard’s tenuous hold on power depends. Wilkie is threatening to bring down the government unless operators like Packer are forced to install new technology requiring gamblers to nominate how much they’re prepared to lose and over what period. It’s designed to protect problem gamblers from themselves, something you’d imagine the entire nation would endorse. But not the pokie kings, who’ve shamelessly described the initiative as “un-Australian”. The depths of their craven self interest knows no bounds. 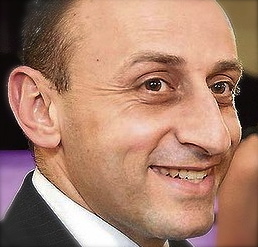 The worst of it – for someone in Bitar’s former position of trust – is that he’s gone out the door declaring that “Labor is fucked” and that “Julia Gillard has no chance of winning the next election”. 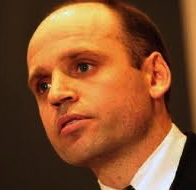 One such outburst after a long lunch is said to have earned him an angry rebuke from Mark Arbib, a Gillard minister and Bitar’s former intimate and comrade-in-arms at New South Wales Labor’s Sussex Street headquarters. The scene evidently left those who witnessed it agog. 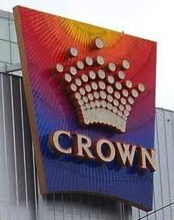 And that was before the Crown Casino announcement of their new recruit. As a Lebanese Melkite Catholic, young Karl would doubtless have been reared on the story of Christ’s betrayal for thirty pieces of silver. While one is loathe to equate his present, er, lapse of judgment with the grotesque treachery associated with another repast of old, the shift from Labor gamekeeper to Packer poacher is certainly a parable of grubby opportunism that’s a shameful addition to Labor folklore. For a start, the interval between the two roles is indecent. Bitar threw in the Labor towel in mid March, popping up at Crown Casino nine weeks later presumably expecting no more than a routine announcement in the business pages. This middle-finger salute to his former colleagues is astonishing even by the Tamany Hall standards of Sussex Street. The present Labor leadership is reeling – whatever their professed sangfroid in public -and the ghosts of Labor’s past must be spinning in their graves. Let’s examine, for a moment, what this means not just for Bitar’s reputation but for the party which he took so unsuccessfully to the last election. His expertise as a head kicker is beyond doubt. Yet now he’s kicking heads not on behalf of the Grand Old Worker’s Party of Australia – arguably an exercise with a modicum of social merit – but on behalf of the latest pudgy hereditary incarnation of the Packer dynasty and beneficiary of the Packer billions. Why the poor reflection on Labor? Well the Packers have a rich history of buying off Labor luminaries and paying them handsomely for the kind of information and influence that only their roles as party and government insiders can provide. Kerry Packer snared Graham Richardson and Peter Barron. Now son James has Karl Bitar. This constitutes as many high level ALP defections to the Packers as MI5 defections to the KGB during the Cold War in the trio of Burgess, Philby and MacLean. What does this say about the loyalties and core beliefs of these individuals. What does it say about the moral and ethical values at the heart of Australian Labor? As ALP national secretary, Bitar was official custodian of the flame of Ben Chifley’s famous light on the hill – the legendary beacon of hope that’s meant to represent the aspirations of generations of ordinary Australians who lack the money and influence of a Packer. So what does he do? After presiding over a lacklustre campaign that sees Labor reduced to a minority government in coalition with the Greens and independents, he saunters off into the job market touting his skills as an image masseur and Mr Fix-it. And whose bosom does he latch onto? Not a man like Kerry Packer whose core business was to entertain and inform. For that, Richardson and Barron can perhaps be excused. No, the miserable Bitar has become a mercenary for Australia’s gambling king, James Packer, in a battle with his own party for the basest of quests; to keep relieving ordinary Australians of their hard earned cash by exploiting their weakness for a quick buck at Packer’s grotesque temples of greed. As if the odds aren’t already stacked against them without this. Granted, everyone has to make a living. So few would have raised an eyebrow had Karl entered the non-government sector or an industry that either makes things, provides a service or generally contributes to the common good. But siding with the gaming industry on the eve of a do-or-die struggle with the potential to affect the fortunes of your own government and the lives of millions of Australians is way beyond the pale. Karl, why not represent big tobacco or the kind of cheap liquor favoured in indigenous settlements? Or why not enter the people smuggling business or become an arms dealer using your old Beirut connections? Wild exaggeration? Think about it. God knows Labor is in crisis, with a lame-duck prime minister, a bumbling treasurer and seemingly out of its depth on everything from the carbon tax to border protection and set top boxes for the elderly. Yet the notion of the former organisational head of the ALP representing the interests of gambling – especially at this juncture – is so singularly loathsome that it leaves a more Bitar taste in the mouth than the rest combined.